All the creamy and hearty goodness of Chicken Fettuccine—without the chicken. 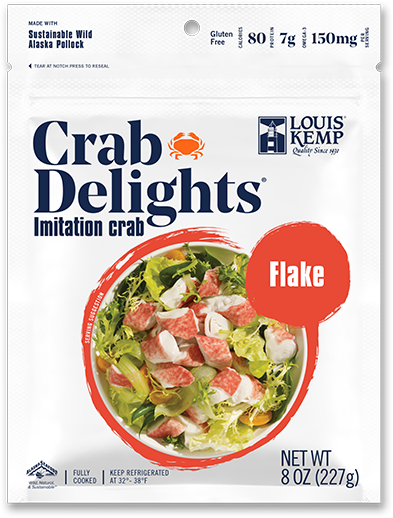 This Seafood Fettuccini adds a twist to everyone’s favorite pasta classic with Louis Kemp Crab Delights®. 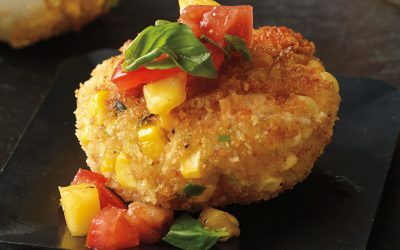 Melt butter in large skillet over medium-high heat; stir in flour and garlic powder until blended. Gradually add half-and-half; stir until thickened (about 3 to 4 minutes). Reduce heat to medium; add Parmesan cheese and heat, stirring constantly until smooth. Season with salt and pepper. 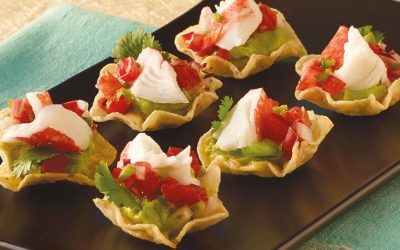 Fold in Crab Delights® and cook until heated throughout (about 3 minutes). Add fettuccine and parsley; toss to coat. 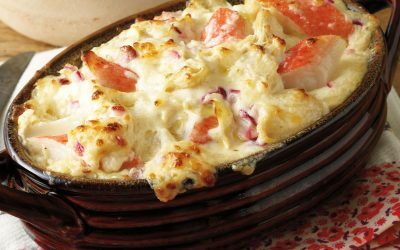 Divide between serving dishes and sprinkle with additional Parmesan if desired. Serve hot.